A glass of icy tea and a bacon and tomato sandwich! It is only summer food. 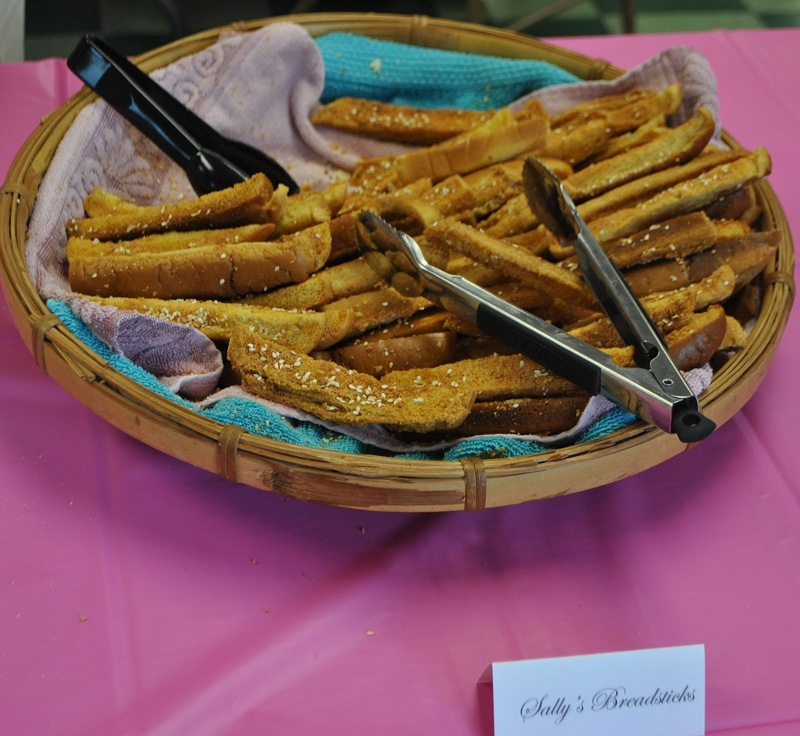 Bacon and bread are available year round but tomatoes -- ripened on the vine tomatoes are not! They're available only during the summer. And most years, we try to pick the first tomato by at least the Fourth of July -- this year, they've been picking them for several weeks! 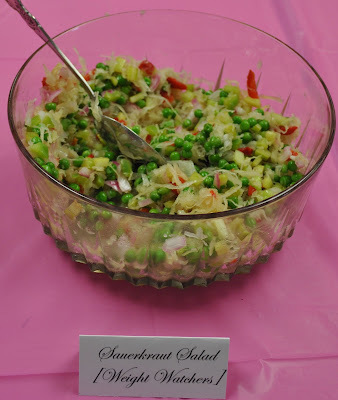 We had summer food way before it was summer! To us the "ultimate" bacon and tomato (and notice it is bacon and tomato -- no lettuce at Linderhof!) -- lots of thinly slices of tomato, bacon (we like thick cut the best) and a good spread of mayonnaise -- real mayonnaise (and actually if we have the time homemade is best) Wheat bread, toasted. And, before the top is put on, a good sprinkle of salt and pepper. 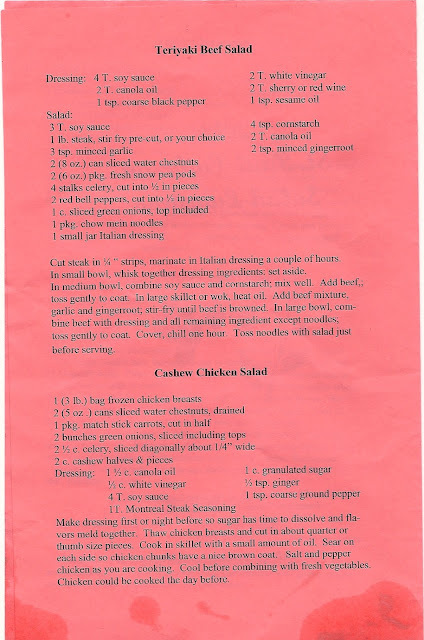 No "fancy" sandwich for us -- no basil mayonnaise, no basil to replace the lettuce. Just pure and simple but everything extra good quality -- bread, mayonnaise, local vine ripened tomatoes, and bacon. 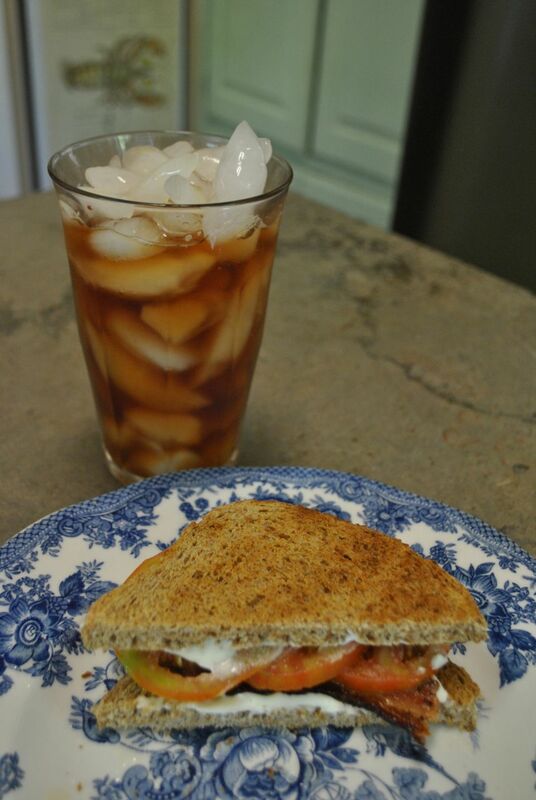 Always served with an icy glass of tea. Our special tea brew (as copied from Cynthia from life+style -- it's their signature iced tea) of 2 bags of Luizianne iced tea and 1 bag of Harney's Hot Cinnamon. 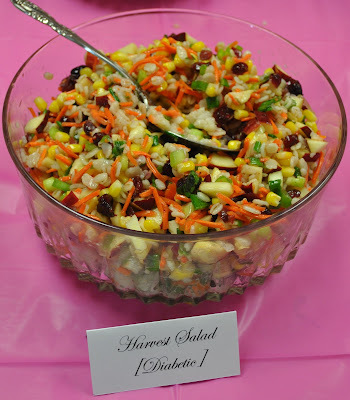 It's sweet without added sugar and tastes really good with slices of lemon. The first pitcher is made in the morning and if we have lemons, a whole lemon is sliced and added to the pitcher, then the ice is put in and the tea once brew time is finished is poured over the ice and lemon. Often we have to make a second pitcher of tea in the afternoon. The same formula is followed. 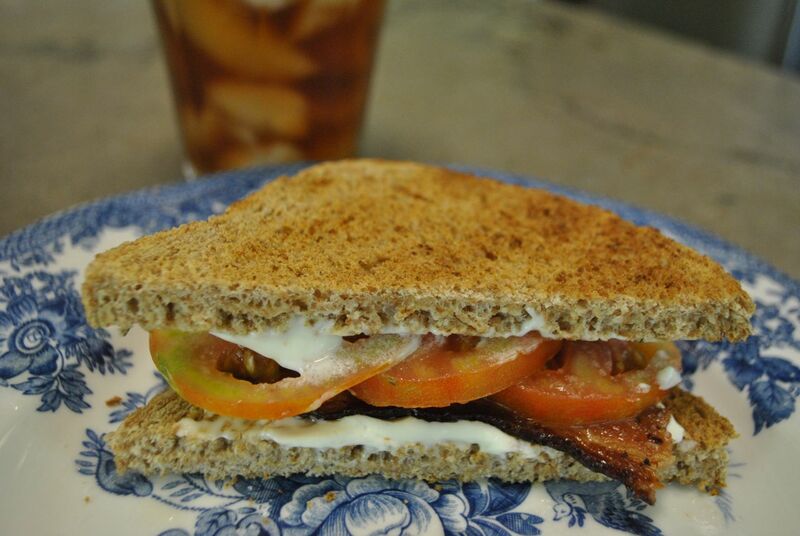 During the summer, a bacon and tomato sandwich is often our lunch. We never seem to tire of them. Perhaps because their the is so limited! We love to have company and in June we love to entertain outside. But this year, everything is early -- the lilacs bloomed early, the roses bloomed early . . . and the 100 degree temps came early. We don't usually have them in June. Sometimes in July but more often in August. we get 100 degree days. We invited friends for dinner . . . the heat hit before the party and so indoors we moved. Into the dining room . . . The dining room ready for company. And for four, we like to set the table two by two. Hydrangeas in a blue pitcher. With flowers on the end. Husband Jim abhors centerpieces you can't see over. It is a pet peeve of his -- talking around the greenery is "no fun"! But when you do two by two -- centerpieces high or low can sit on the end -- you still have a pretty table and no one is bobbing from one side to the next to carry on a conversation. Table set two by two. Rattan chargers, my blue and white (of course), green napkins (to remind us of the garden that we weren't in) and pink hydrangeas in a blue and white pitcher. Silver candlesticks with candles which were lit for the evening. 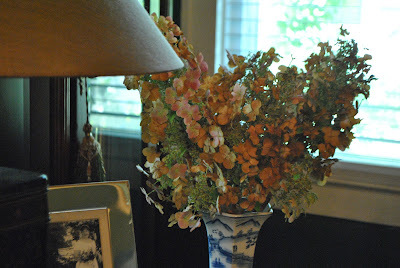 We have gotten a lot of mileage out of those hydrangeas but with our heat and draught there isn't much else blooming! Dinner was a wonderful pork tenderloin that Husband Jim smoked. 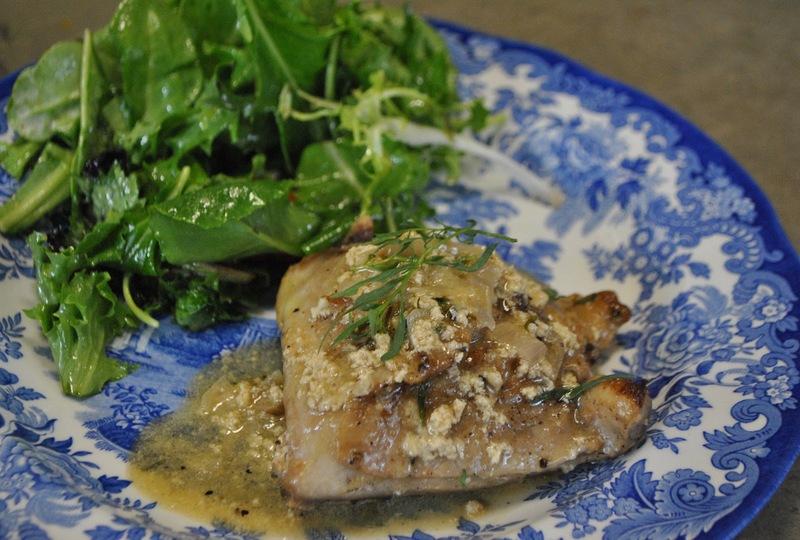 Served with an onion marmalade sauce. To go with -- Potatoes Anna -- they'er simple and good. And I used my copper tart tatin pan for the potatoes. You can buy a Potatoes Anna pan -- but alas, I'm not sure if I would get my $400 back in use from that specialty pan! 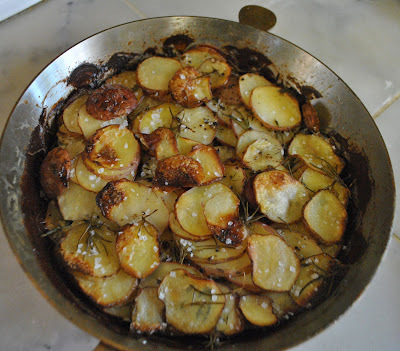 I added herbs and I love the creamy crunchy potatoes. Which looked so pretty turned out on a plate and cut into wedges. Rosemary in with the potatoes and rosemary garnish. My guests were New Orleanianers. One still lives there and was visiting my neighbor who used to live there. What does one feed perhaps homesick New Orleanianers for dessert? 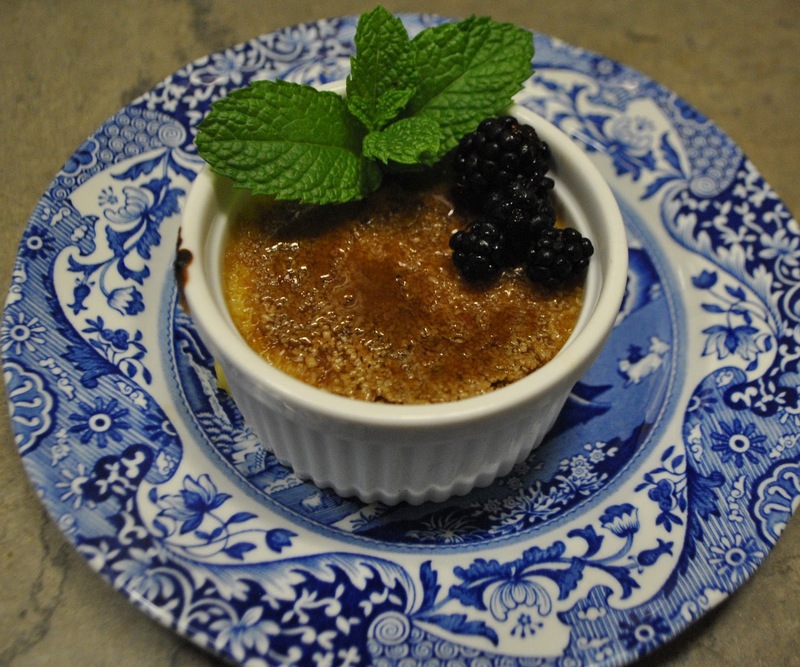 The dessert of New Orleans -- creme brûlée -- in honor of our guests. Why creme brûlée, of course!!! Daughter Sarah's recipe and it is good. Garnished with garden mint and a few Farmer's Market blackberries. We drank martinis before and had wine with dinner. All too soon, the clock struck the magic hour and our guests departed. 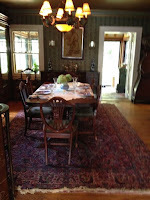 Husband Jim helped clear the table and I did the dishes and cleaned the kitchen. There was just enough pork leftover for lunch the next day! 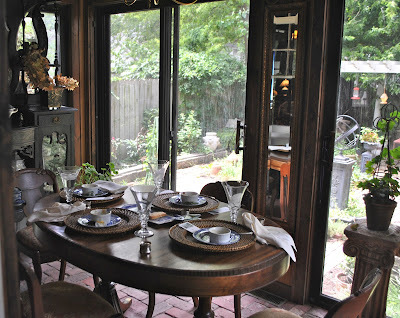 It is so nice to gather with friends around a table. 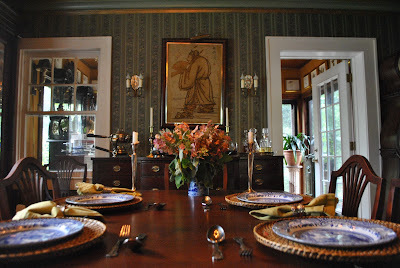 It is Thursday and I'm joining Susan at Between Naps on the Porch for Tablescape Thursday and Kathleen at Cuisine Kathleen for Let's Dish. Oh, No . . . More Scones! Before I made my "Emergency Scones", I made a batch of scones for the Chamber Coffee which was hosted by the Master Gardeners and Garden Club. Of course, I signed up to bring a treat. The Chamber of Commerce Coffee is held each Thursday morning and each week a Chamber member is the host -- and it was "our turn"! Coffee, of course, and orange juice, to drink. There is always a fruit plate as well. 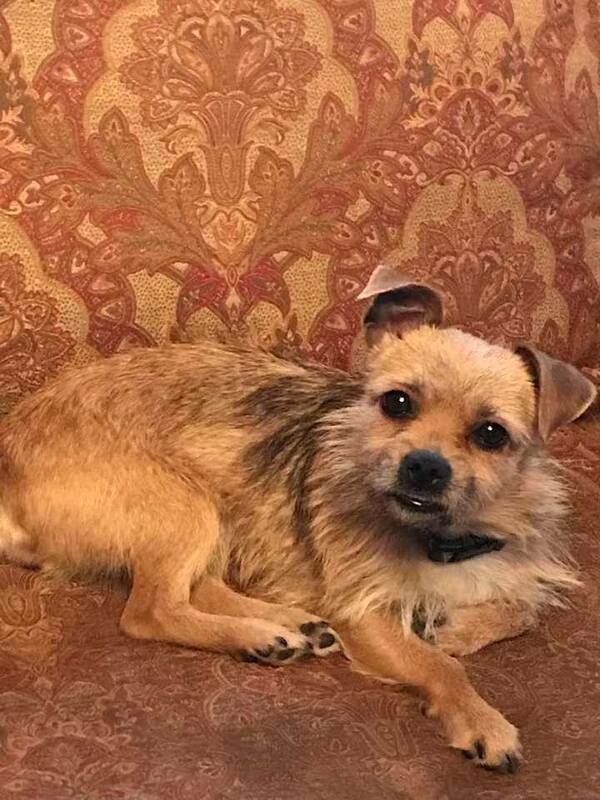 Treats tend to be "bites" rather than full size treats (think mini muffins, cookies or doughnut holes). And I figured that someone would bring mini muffins (someone did) and someone would bring cookies (they did), so I chose to make scones. Scones are a definitely breakfast treat. They go well with coffee and if I made them small . . . . I decided to make them American Style (triangles) rather than British Style (rounds) and to make them small I used my 2 inch square cutter rather than my 3 inch one. But since it was the Garden Club hosting, not just ordinary scones but orange rosemary ones! 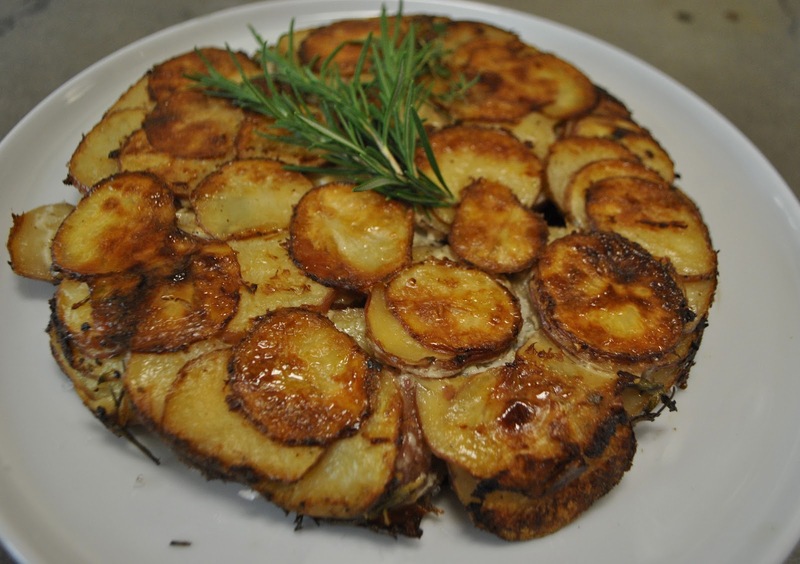 With an orange glaze and decorated with sprigs of fresh rosemary. 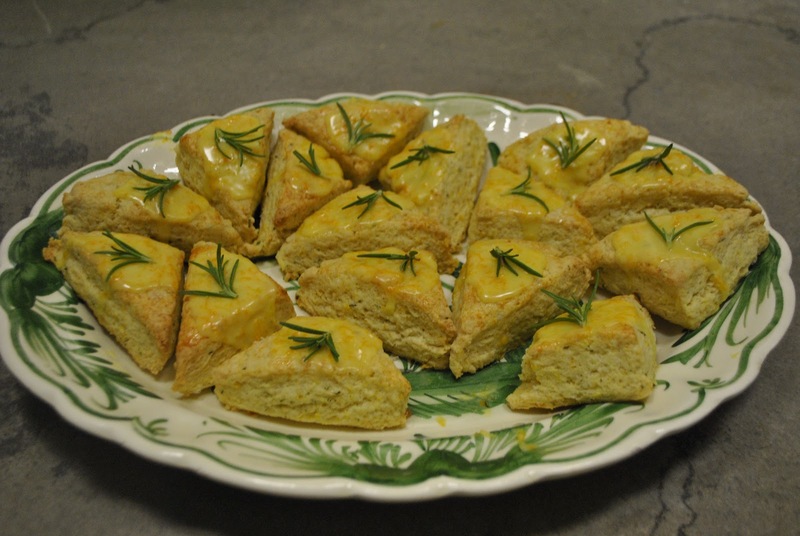 They're a basic scone recipe that you can vary by adding herbs or dried fruit or lemon or orange zest. They must have been good -- I brought home an empty plate. 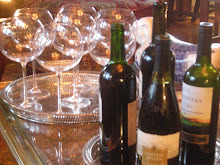 I did, however, have one at home before I brought them to the "party"! Heat oven to 425. Place flour, baking powder, sugar and salt in the bowl of a food processor. Mix to combine. Add butter and turn machine on until the mixture looks like coarse meal. Add zest and rosemary. Pour in the heavy cream through the feed tube and mix until dough forms (no more than about 30 seconds). Take dough out and put onto floured and knead until it just comes together. Press (or roll) dough until it is about 3/4 of an inch thick. If I'm making "American" scones, I like to use a square cutter and cut that in half (I like my 3 inches best but for these I used my two incher because I wanted smaller scones). If I'm making British scones, I use a round cutter, either 2 or 3 inches in diameter. I like to brush the tops with egg wash (1 egg and about 1 T. water mixed together) and sprinkle with coarse sugar. Bake for 12 to 15 minutes or until they are light brown. After they are cool, make a glaze of powdered sugar and orange juice. I also added about zest from 1/3 of another orange. I like a more "icing" type glaze so didn't use that much juice -- just enough so it sort of ran off the top a bit. 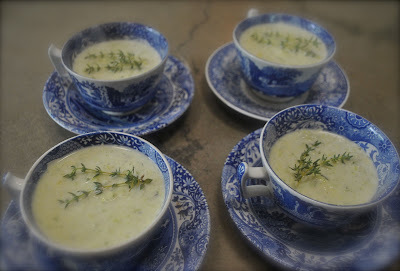 I decorated with sprigs of fresh rosemary. We'll Be Over In 15 Minutes . . . . It is triple digits on the prairie today. Therefore, we tend to stay indoors -- gardening now is just turning on the sprinkler for the allotted time and getting back into the cool of the indoors. 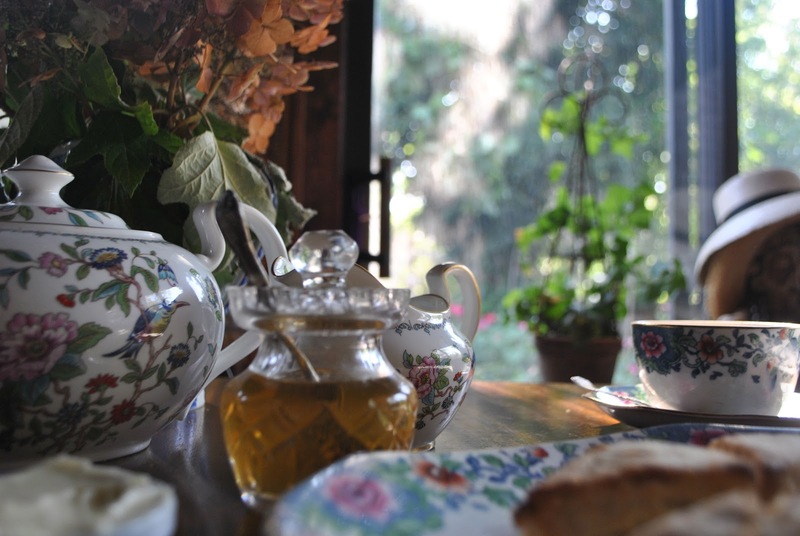 Neither breakfast nor dinner nor an afternoon tea break is taken on the porch nor on the patio nor under the pergola. Any and all food is consumed inside! (Husband Jim, however, does brave the heat to go out and grill dinner steaks). 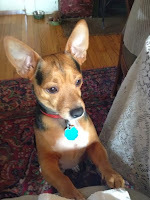 I was puttering with inside chores this afternoon when I received a call from friend Barbara. It seems that she and Priscilla needed to go over garden club "things" with me. "We'll be over in 15 minutes", she said. 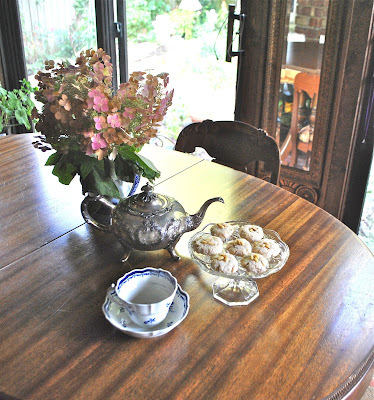 With the larder bare (of cookies or madeleines or financiers), I hurriedly put together some scones, put them in the oven, set the table in the breakfast room . 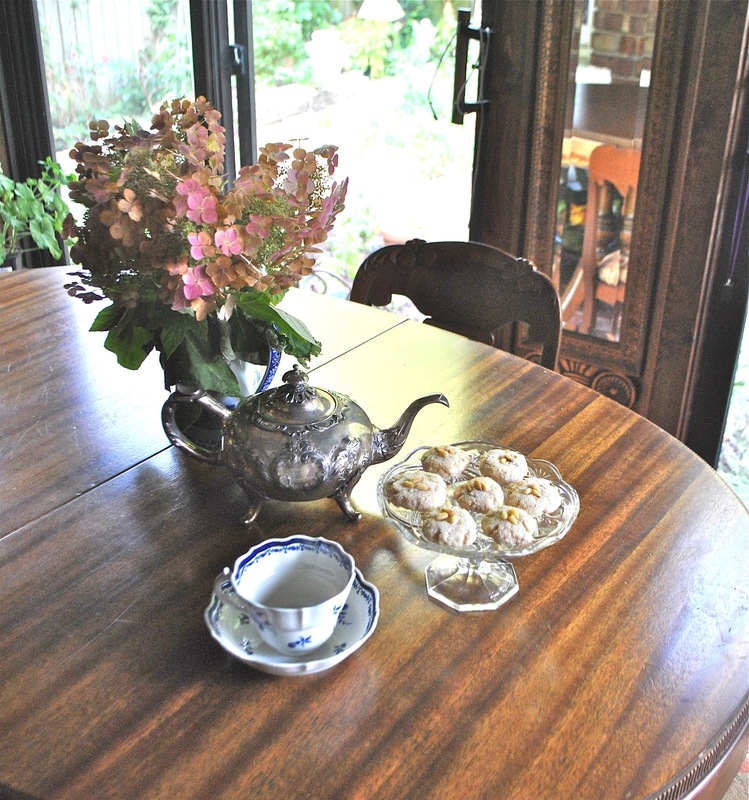 . . and as the doorbell rang 15 minutes later, I was pulling the hot scones out of the oven. It doesn't take long to set a tea table. The hydrangeas make a good centerpiece. The table in the breakfast room. Plenty of room for note making while we sip and munch. The china is English -- blue and white but with the addition of pink flowers. It, too, was an estate sale find. The teapot is Aynsley's Pembroke. As is the creamer. Afternoon scones are fine with cream and jam but they are also good with butter and honey. Especially local honey from the Farmer's Market. The only thing better would be if I could find the beehive that has the store of lavender honey that the bees have been working on most of June. An English pearl handled tea knife is the perfect spreader for butter. Honey served in a wee Waterford mustard pot. With a mustard spoon for serving! 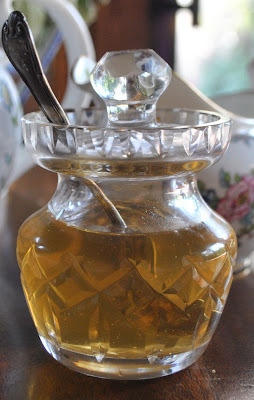 It's special honey and needs a special container and I love to see the golden honey through the crystal. 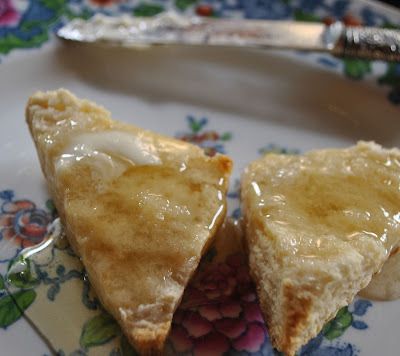 A warm scone with butter melting and honey dribbling over the sides onto the plate. To be dabbed up with the unhoneyed part of the scone. We drank the pot of tea, we ate all of the scones, we finished the business we needed to. It was actually a nice afternoon . . . even though it was unplanned. 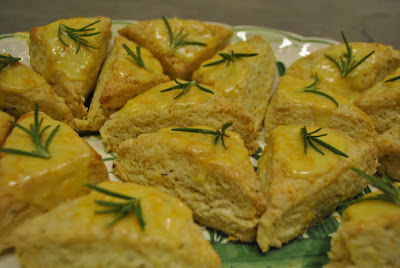 The scones are so easy and go together in a thrice. Two cups of self rising flour, a tablespoon of sugar and a cup of cream. Ingredients always in the pantry and fridge. Mix together in a bowl until the dough holds together. Knead a few times and then cut into American scone shape (triangles) or English scone shape (rounds) and bake for 10 to 12 minutes in a hot (450) oven. You can make biscuits the same way -- omitting the sugar and just using the self rising flour and cream. If you've been biscuit challenged, these are easy biscuits (or scones) to make. For the scones you can add dried fruit it you want or some herbs. 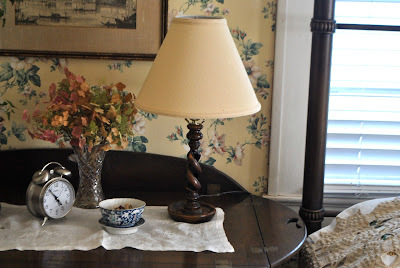 It's Tuesday and I'm joining Marty at A Stroll Thru Life for Tabletop Tuesday and Sandi at Rose Chintz Cottage for Tea Time Tuesday. They're called Estate Sales on the prairie -- Tag Sales in other parts of the country. 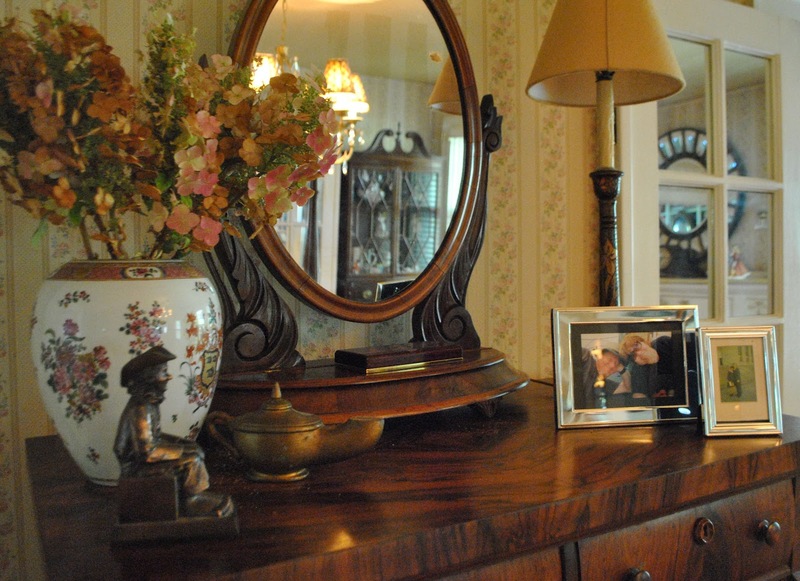 Some truly are, Estate Sales that is, for the owner has either passed away or has been taken to a nursing home and their belongings need to be disposed of. 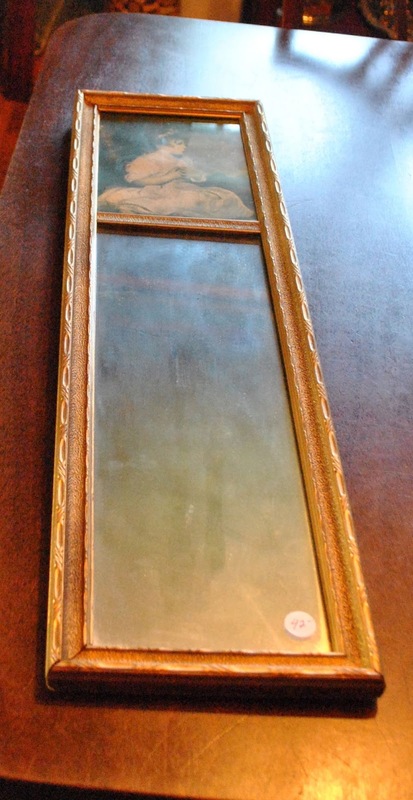 Others are called "Estate Sales" but I think they're often more "moving sales" or glorified "garage sales" but the seller, perhaps, feels that the traffic will be heavier if they're called an "Estate Sale". There are several companies in the city that conduct true Estate Sales and we're on their email lists. We do have three favorites and are always excited when we get an email notification of one of their sales! Friday last found us in the city on another errand. But since we were there, the list of Estate Sales came with us. And treasure came back with us . . . .
A darling old mirror -- not sure how old but written on the back is a notification that it belonged to Grandmother _________________. It was the last day and the going price was half of what it was marked. It fit in perfectly on this sliver of wall in the guest room. 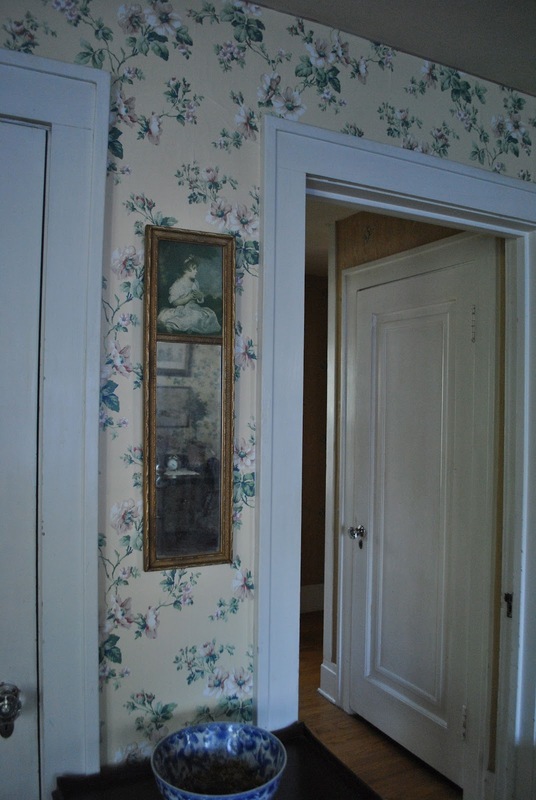 The darling picture at the top of the mirror is a famous one and the girl seems at home against the yellow background white rose wallpaper. I love to do needlepoint but I also love to "rescue" needlepoint. 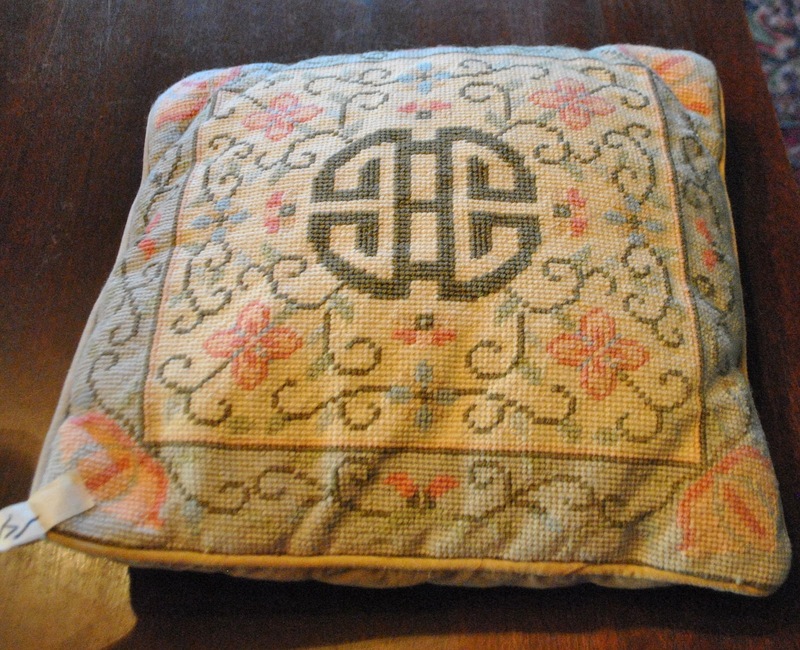 Old hand sewn pillows at a inexpensive price seem to make their way home to Linderhof. This, too, was half price. The colors of that dusty rose and blue were so 80's. 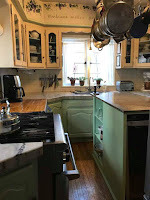 The whole house was done in these colors! Rugs and curtains and furniture upholstery. Bedspreads and baths, too! 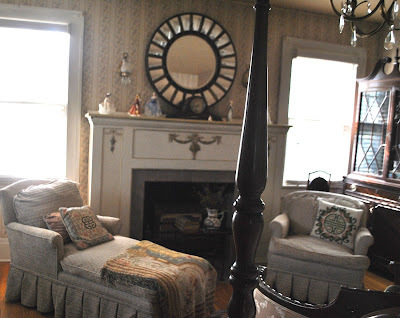 But it seems to fit in well on the chaise in the master bedroom and it also has the same oriental motif that the pillow on the chair has tying the two together even more. 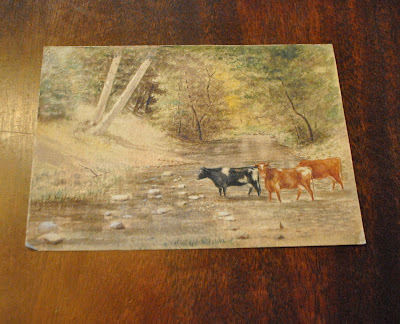 A darling little watercolor. British in feel, I think. It sits on the table in the sunroom awaiting the perfect frame before it finds a place on a wall. It was amazingly inexpensive at $20 which was the full price for that was the first day of that sale. 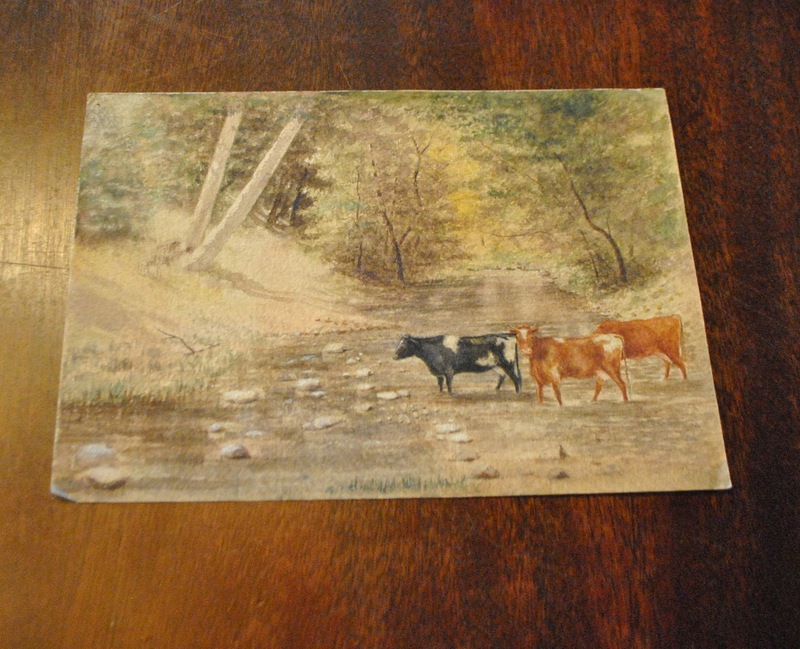 My other treasure was the old blue and white cup and saucer bought at the same sale as the watercolor. It was a good "sale" day. And we eagerly await another sale day in the city . . . The Thirty-Third Annual . . . It's always great to see a project become an "Annual". It's even better to see a project celebrate the "10th Annual". But to find a project that is now celebrating it's 33rd Annual is really an accomplishment. The original organizers of the project are often no longer around and so often when projects hit that 15 or 20 year mark, the project seems stale and often attendance and enthusiasm go down. 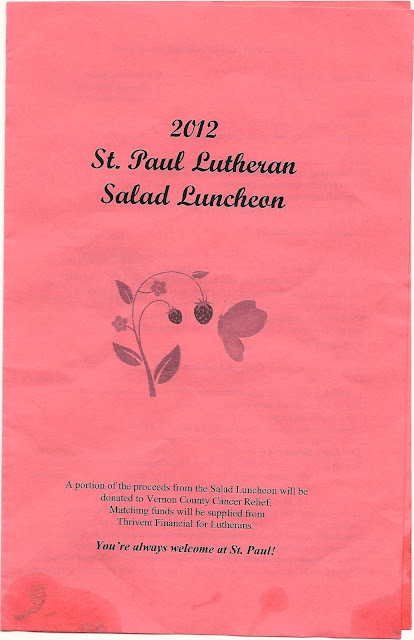 No so with the Annual Salad Luncheon at St. Paul's Lutheran Church in Nevada, Missouri. For this was the 33rd year that they've held their Salad Luncheon. It was our church for the time that we lived in Nevada but when we moved to the little town 20 miles west of there, we chose to also transfer to the church in our town. It was a hard decision to make, for we loved the church and were good friends with many of the members and our daughter was about to enter confirmation. 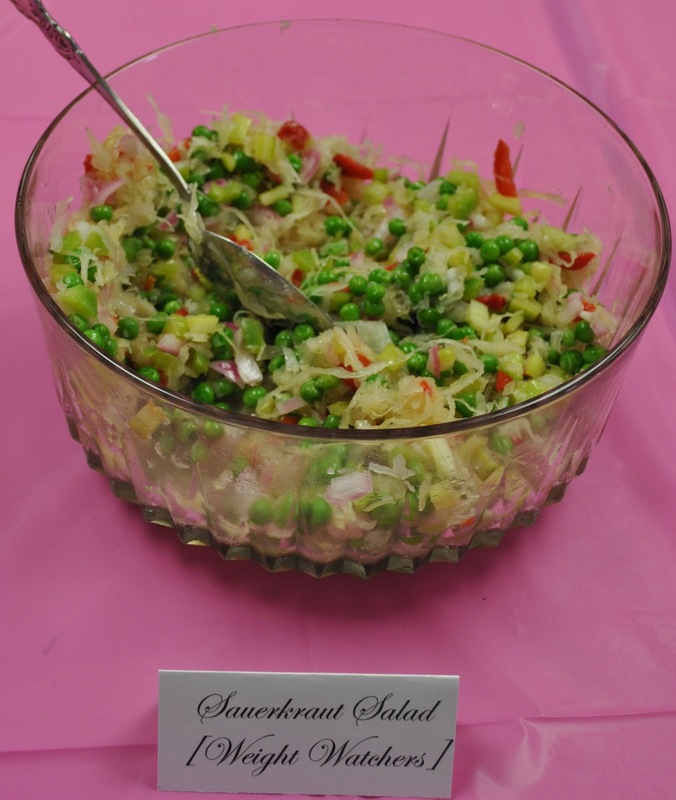 And in those years that we lived in Nevada, I was part of the Salad Luncheon -- the early years! 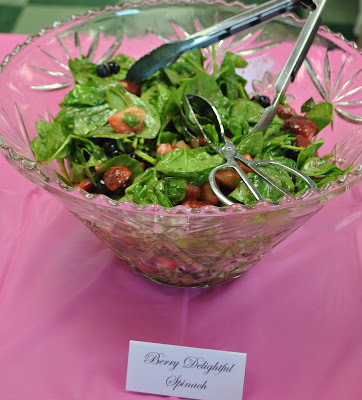 I chaired the project one year, I co-chaired the decoration committee, I was on the food committee, I sold tickets, I made salads (and one year made all the desserts), and always took a vacation day so I could work the Salad Luncheon. 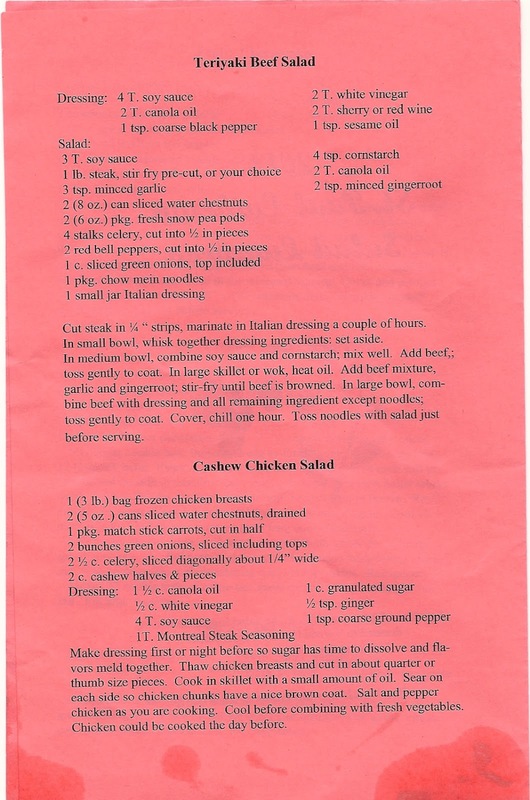 When we moved, I still kept in touch with several members and they always alerted me to Salad Luncheon time. Except for last year (when we were in England) I don't think I've missed a luncheon! Wednesday was Salad Luncheon Day and friends Sally and JoAnn headed east anticipating a lovely luncheon. The fellowship hall filled round tables covered in gay cloths. You don't want to arrive too late for often you have to wait for a seat (or three seats together). And what was a ladies project has turned into a congregational project and both men and women "man" the kitchen! The first year, the "formula" for the luncheon was decided upon -- 2 vegetable salads, 2 meat salads and 2 fruit salads, a bread and a dessert. Friend Anna had given me the recipe a few weeks before and I had made them when some of my gardening friends came and joined me for tea in the garden (Garden Friends for Tea). They are exceptionally good! 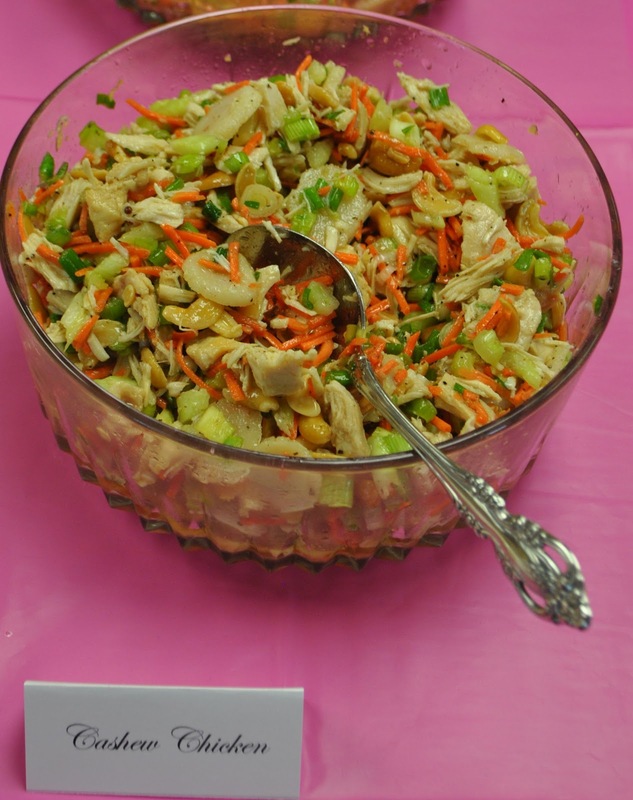 But the best thing about the luncheon is that the recipes are always given so that you can make these tasty salads at home. Every month "the ladies" whom I call The Lunch Bunch comes to Linderhof. It's a relaxing lunch, I'm often trying new dishes. It's fun to work on the table setting as well. 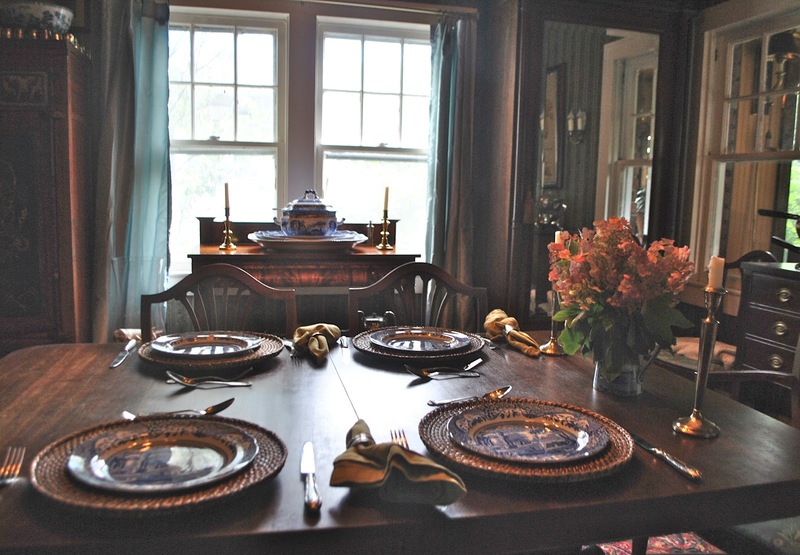 A reflection of a table setting and the centerpiece in the mirror between the windows of the breakfast room. Rattan charges, hotel silver cutlery, Spode Blue Room plates and my favorite water glasses with a Spode blue and white pitcher filled with "stolen" hydrangeas. You may have seen them before. I like to get mileage out of my flowers! 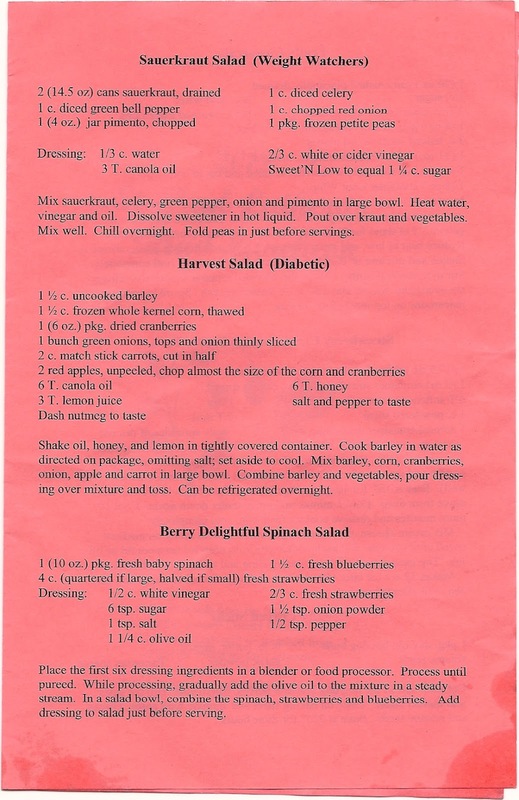 The menu -- a late spring, Farmer's Market/herb garden food fit for a ladies lunch. Creme brûlée. 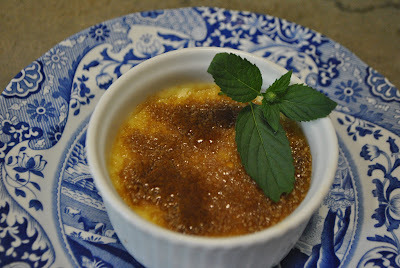 Plain old fashioned creme brûlée. Garnished with garden mint. 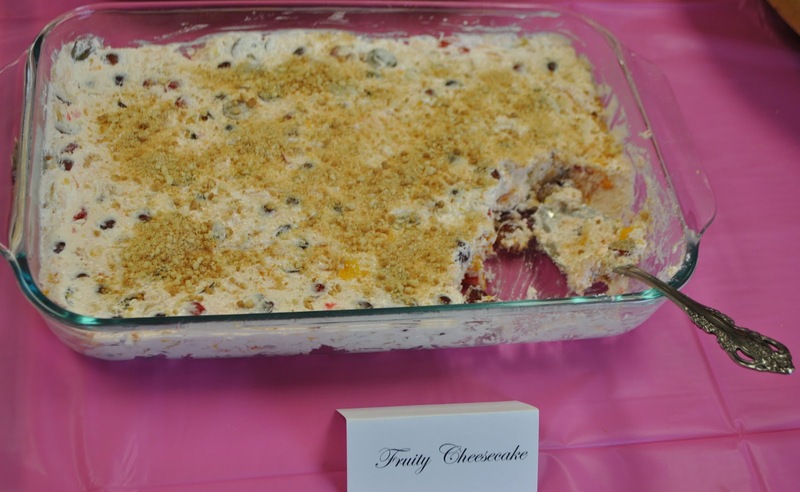 A cool refreshing dessert on a hot late spring day. I love the table after everyone is gone and before I clear. It shows that a good time was had by all! And hardly a crumb remained! Not with money but with a tea cake. How can a tea cake be "High Finance" -- why when it's French and it's called a Financier! Baked, of course, in it's own special pan! Called Financier because the tea cake is said to have originated in the Financial District of Paris and the baker who came up with the idea of financiers baked them in special molds to look like gold ingots. And some say that it is a "cousin" to the madeleine. I've always been intrigued with the little cakes although I've never tasted one and then I got brave and ordered a financier mold. The cakes are little almond tea cakes and are not too sweet. 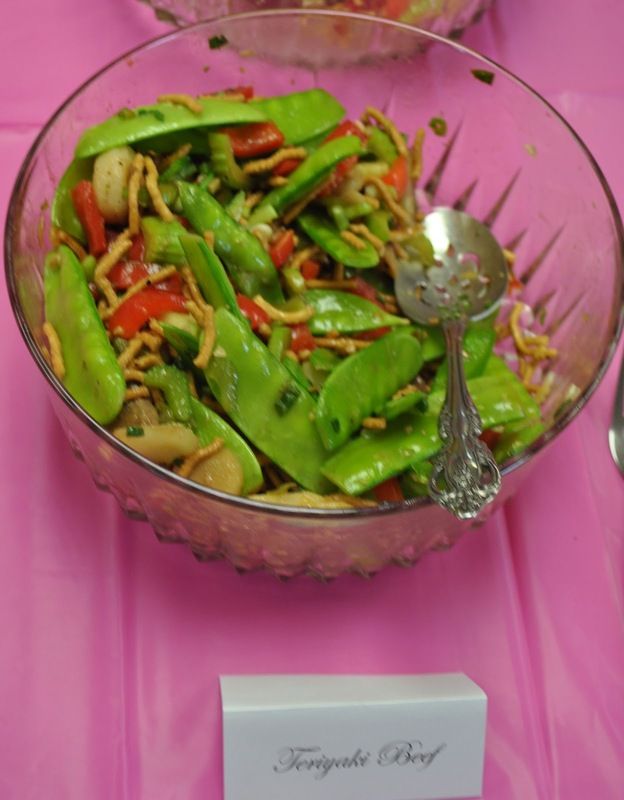 A perfect nosh with a cup of coffee or tea. I found a recipe I liked and made the cakes. They were easy, no mixer required. And made six perfect little cakes. Looking like little gold bars lined up on a Spode sandwich plate (which echoes the shape of the financier). They're a great way to use egg whites if you've just made an egg yolk dish and you can bake them in mini muffin tins although they won't be the proper shape. I even read somewhere about baking them in individual brioche molds. I had company for lunch today and they were a perfect accompaniment to the creme brûlée that I served for dessert (which is why I had the egg whites). The two leftovers were perfect for my afternoon tea. For a person who dislikes "uni - taskers" in the kitchen I do like my French "specialty" pans!!! I also can see little golden "ingots" of cornbread baked in these pans! 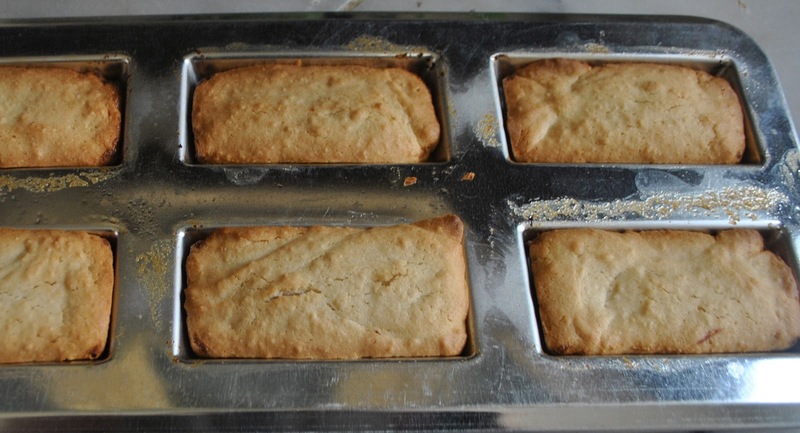 Grease the financier pan with soft butter. Set aside. Measure flour, powdered sugar, almond meal and salt into a large mixing bowl and stir together until completely mixed. Make a well in the center of the dry ingredients and add in the egg whites. Use a wooden spoon to mix the ingredients into a smooth paste. (This may take a little elbow grease). Add the melted butter to the batter along with the almond extract. 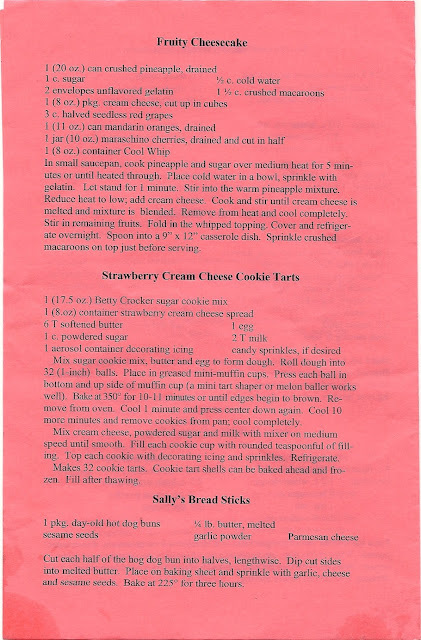 Carefully stir the batter until all of the butter is incorporated and the batter is smooth. Place several heaping tablespoons of batter into each mold. They should be about 3/4 full. 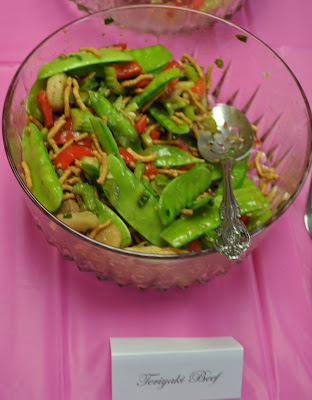 Place the filled pan in the preheated oven and bake at 400 for 15 minutes. Lower the oven temperature to 350 and bake for five more minutes. 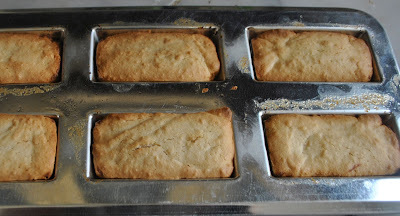 Turn the oven off and leave the financiers in the closed oven for two more minutes. Remove from the oven and allow to cool to warm before releasing from the pan. I love to go to Estate Sales in the city and we've been only once this year. Friday, however, we had another opportunity and treasures came home with me. You know my love of all things blue and white . 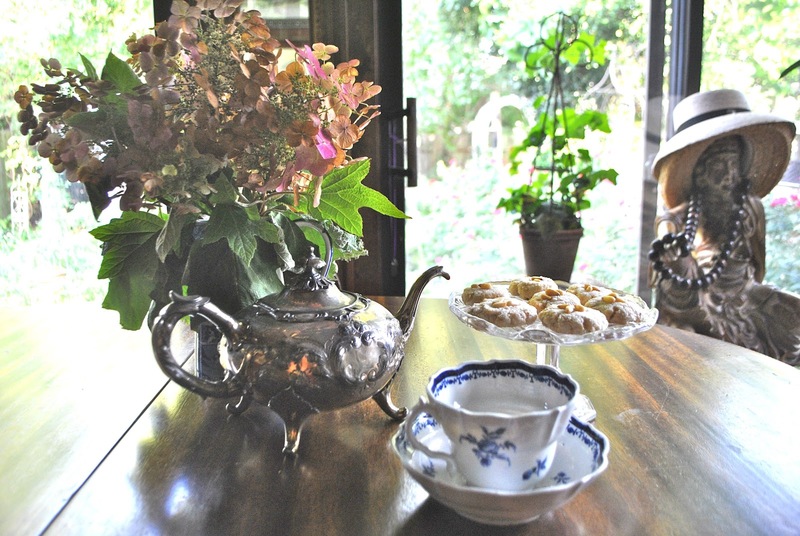 . .
At the first sale we went to, I found this darling blue and white cup and saucer. I don't really collect "orphan" cups preferring to have sets but I do adore blue and white and I also adore early porcelain pieces. The tag said "early $22" and turning it over, you could tell that it was an early piece -- reminding me of the Old Paris that I have. When you turn these old pieces over, there is a certain patina that they have that you just know they're old -- really old. I've been searching to find out the maker and the pattern name but so far have not been successful. There is a sticker on the bottom but it's barely readable for water has blurred the ink. I can make out a c 1816, however. So I assume that that is the date of the cup and saucer. 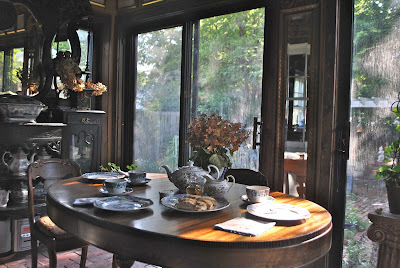 It's gotten warm on the prairie and so afternoon tea is inside once again and the tea is hot rather than iced. We had company for dinner last night. Dessert was creme brûlée but I thought a cookie would be good to go alongside. 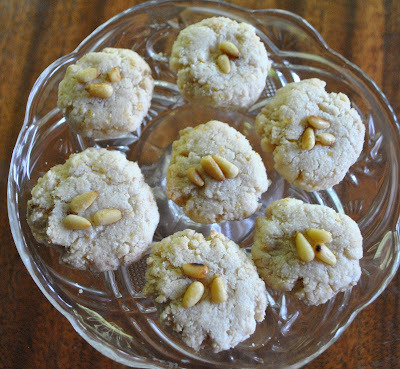 I made some Arabesque Lemon and Cinnamon-Scented Almond Cookies from Laura Calder's book, Dinner Chez Moi. They were perfect with the creme brûlée last night but they were also perfect for tea this afternoon -- taken from my new old cup. And because the cup and saucer is so special, I got out my old English silver tea pot for the Earl Grey tea. Heave oven to 325. Grease a baking sheet or use parchment or sillpat. Mix all but the toasted nuts together in a bowl until it forms a dough. Wet your hands and roll the dough into roughly 1 inch balls. Place on the baking sheet, spaced well apart. Press down to flatten them slightly, then press 3 toasted nuts on top of each. 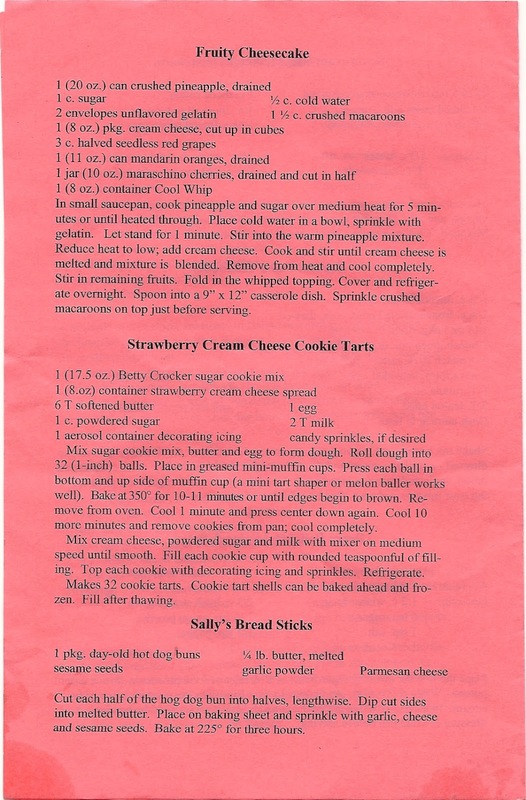 Bake the cookies until cooked through, 12 to 15 minutes. Cool on a rack. It's Monday and I'm sharing this will Smiling Sally for Blue Monday and with Yvonne at Stone Gable for What's On the Menu Monday. My Dad was born not in the last century but the century before that. Two years before the turn of the 20th Century. He lived through not only the Depression and World War II but World War I as well. He first served in the National Guard where he was deployed to Mexico in our war against Pancho Villa. 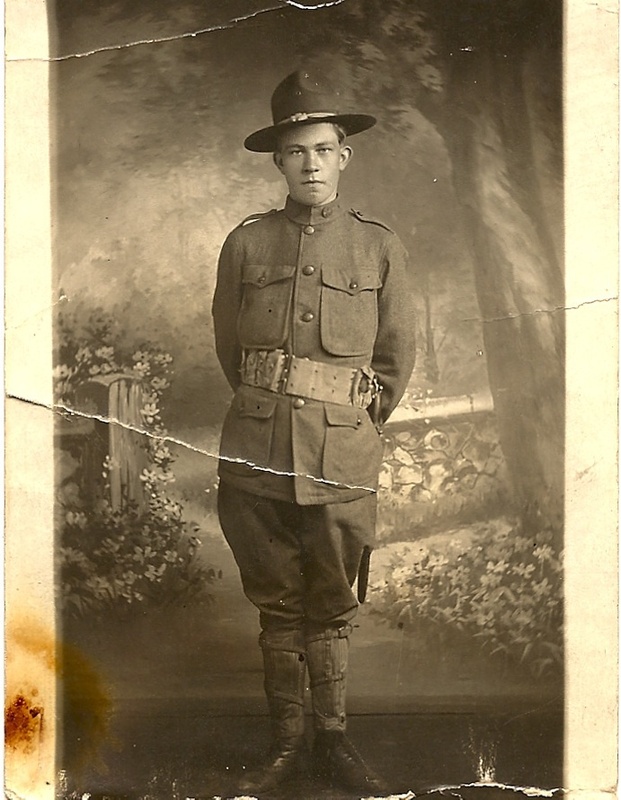 He then enlisted in World War I and was sent overseas. Perhaps because of his small stature, he was a messenger and rode an Indian motocycle as he took messages from one unit to another. He was wounded (for those guys were "easy pickings") but in World War I, there was no Purple Heart and instead he received an engraving with Columbia "knighting" a doughboy and stating that he was wounded in action. I treasure the engraving. It was a part of my childhood home and when we went through my Mother's Estate it was the one thing I wanted. It hangs with pride at Linderhof. Dad was part of my life for a short time. I was born late in his and since he wanted children so badly and I was the first born, I was a Princess and could do no wrong. My wish was his command. But, yet, somehow, I grew up to be not that spoiled pampered "darling"! He was German -- his father immigrating to America in 1885 and his mother having been born here of German immigrant parents. He was proud of his German heritage even though we had fought two wars against them and he made me proud that I, too, was part German. Linderhof is named Linderhof because of that German heritage. He had a rough life. Mustard gas in France led to lung problems his entire life. He lost an arm just below the elbow in the 20's but that never stopped him. In fact, I was grown and working in a Personnel Office before I realized that he would be considered "handicapped". Neither we nor he ever thought of him that way. And he died way too young -- at 62. It's been a long time since I've celebrated Father's Day in any other way than putting flowers on his grave. 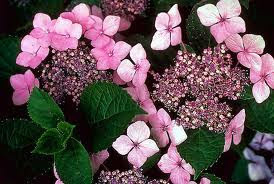 One of my favorite plants is the hydrangea. Any and all kinds. They're easy plants although in the first year or so they are thirsty little plants and require daily watering. But once established they require very little care. This hydrangea is usually my source for dried flowers for the house. 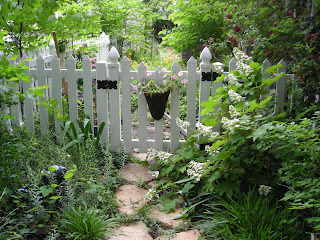 The white oak leaf by the garden gate has been there for several years. This year I added two more to the back garden. And today . . well, actually it started yesterday, but I didn't get there until today, one of our hardware store/spring plant sellers had a two for one sale. And so I bought . . . I've always loved the lace caps. Two pink lace cap hydrangeas both in full bloom. They, too, will be for the back garden. They're rather large so Husband Jim will have to plant them. But he shouldn't mind for he was the one that encouraged me to go to the 2 for 1 sale! One of our local fast food establishments is being closed, to be torn down and a new one built. 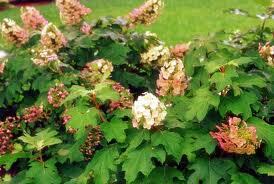 Along the south side of the building was a beautiful stand of oak leave hydrangeas. We know the owners and every year I think I'll ask if I can pick some blooms. And then Tuesday, they said that all of the plants were being torn out. "Can I come pick the flowers?" I asked. They agreed and so today found me in the middle of drive through with Fiskars in hand. While I picked as many of the hydrangeas as I could. Once home, I put them in vases around the house. Most without water so that they can dry. Jim's chest with the vase of hydrangeas, his Whizzo Bank, a Genie lamp bank and pictures of us -- on our wedding day and on our 40th anniversary! 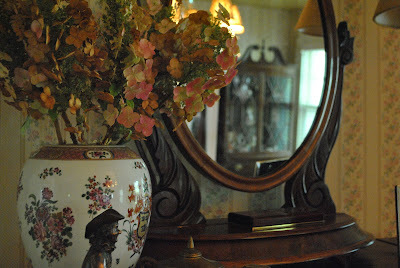 A wonderful old jar on the chest in the master bedroom. 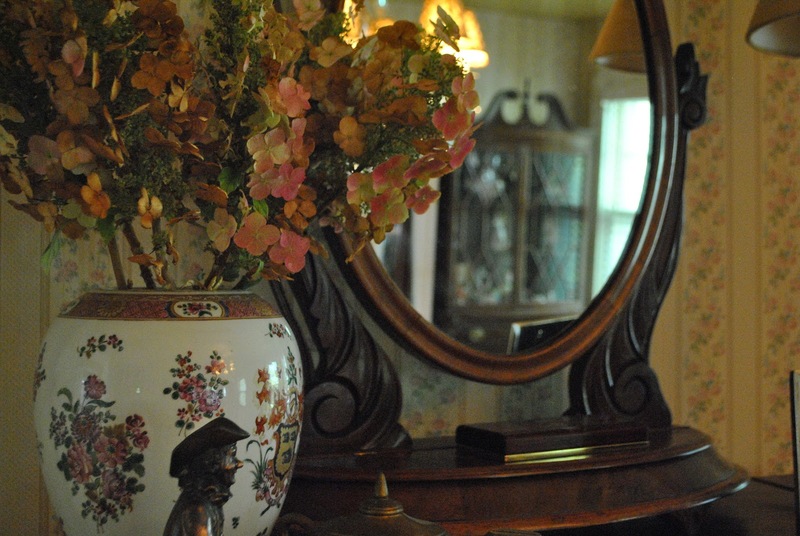 The pinkish hydrangeas pick up the pinks in the vase. I love mirrors for the reflections they provide. I love the dusky pink color of the flowers and I never put real flowers in that vase -- only dried flowers and leaves or bittersweet in the fall. Guests deserve flowers in their room. A vase for the guest room. 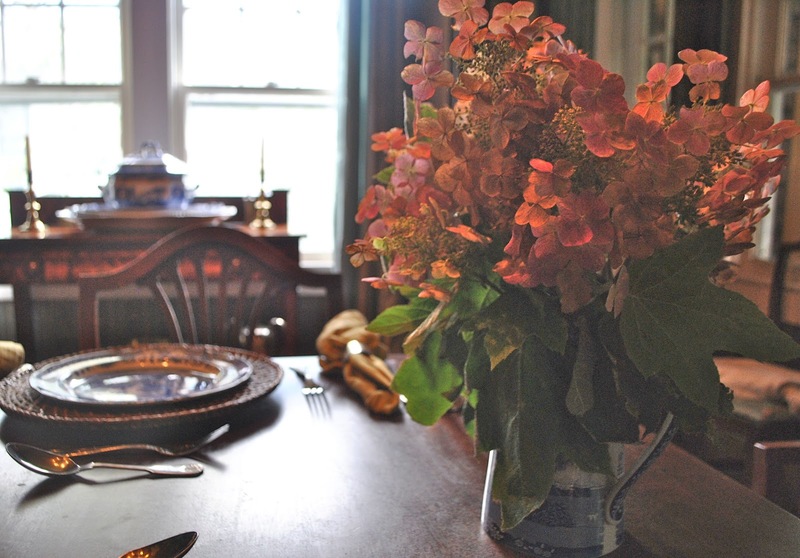 There's always a vase on the table for whenever we have guests, a vase of fresh flowers welcome them. Now a vase of dried hydrangeas will welcome them. 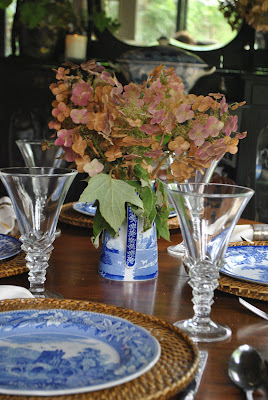 Pinkish hydrangeas in a blue and white vase. A blue and white vase on an end table in the living room. The only disappointment about hydrangeas is that they have no fragrance! 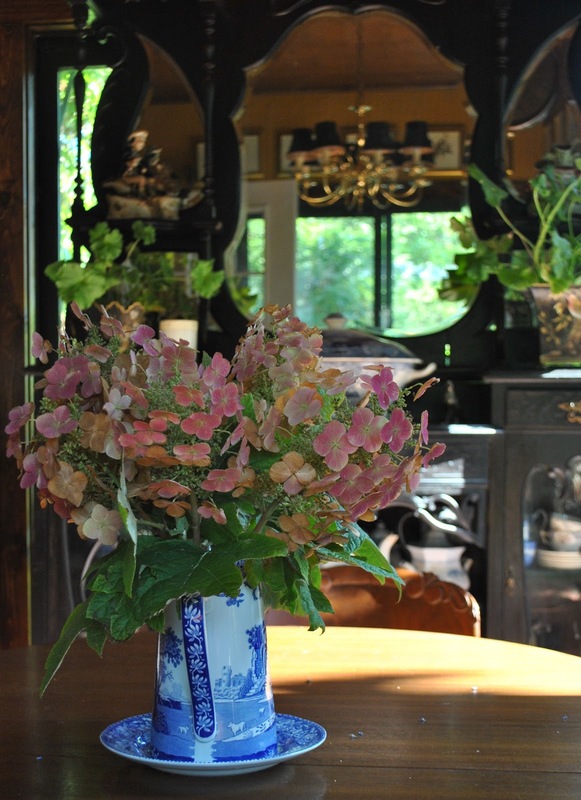 And on the breakfast room table is a bouquet of hydrangeas. The pinkest of them all. These are in water and hopefully, they will last as long as Michelle's (From A Haus To Call Home) for her's have lasted over two weeks. It's Friday and I'm sharing my hydrangeas -- both in and out for Show and Tell Friday at My Romantic Home.